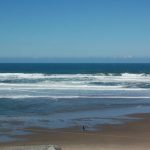 Browse through all of our Lincoln City vacation rentals and pick the one perfect for you. 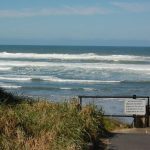 We offer oceanfront and oceanview homes and condos in Lincoln City and the unique community of Roads End, just north of the Chinook Winds Casino. Pick your favorite or call us for specific details. 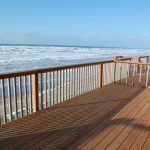 A favorite ground level unit with no steps, dog friendly and just steps to miles and miles of sand. 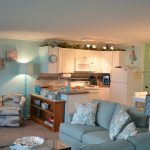 Located just off the beach road, you are close to the casino, restaurants, shopping and a short walk to miles of sandy beach. A favorite ground level unit at The Beachfront Garden Inn. 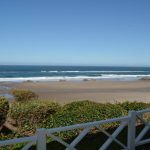 It is dog friendly and just a few steps to the low bank beach steps and miles of beach. Newly remodeled, you will love the décor and light bright colors. By the Sea is dog friendly, and the views go on for miles. 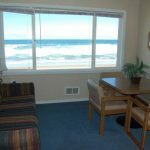 What could be better…going to sleep listening to the ocean waves in this recently updated 2nd floor condo or cozy up next to the corner gas fireplace and read a book or just relax. With 3 bedrooms and 1600 square feet of living space, The Captain’s Quarters is perfect for a family or large group of friends. Rent multiple units to accommodate up to 20 guests. 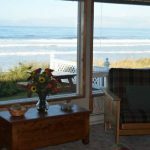 Words are hard to describe this wonderful little condo, it has everything you will need for a relaxing, peaceful getaway to the Oregon Coast. 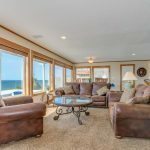 1600 Square feet of oceanfront living…what more could you ask for? With views that go on for miles you will love your stay at Executive! 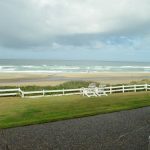 One of the most popular vacation rentals in Lincoln City. 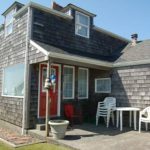 Martha’s Cottage has everything and more for your extended vacation! 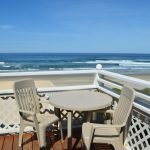 East coast architecture meets west coast location…you love the décor and ambience of Nautique, one of the special vacation rentals in Lincoln City. Wonderful views from this 3 bedroom and 2 bath rancher. Just a short walk to low bank easy beach access. This cute little cottage is a perfect escape. 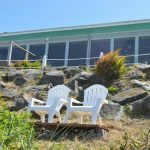 With nice ocean views and close beach access you can enjoy your time at the beach or relax in the hot tub. Located in a quiet neighborhood, Oceanfront Dreams is what the name says. 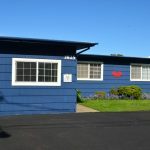 Located just south of a small park with facilities and easy beach access. 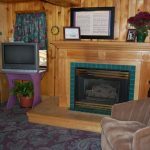 The Purple Moon Inn has been a favorite for guests year after year. With it’s quaint décor and atmosphere, you will consider it your own when you walk in the front door. Perfect for families with children, you can be up and down to the beach in seconds. Enjoy a beach fire in the evening then return to the warmth of the gas fireplace. What a perfect spot to sit inside or out and enjoy views of the ocean and beach. Just 10 steps above the sand, you cannot get any closer to the beach. 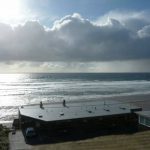 You will love the location, easy low bank beach access, walk the restaurants and shopping, and there is an indoor pool for the kids to enjoy. 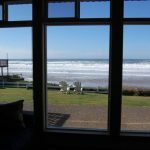 One of the best vacation homes in Lincoln City, nicely appointed with quality furnishings. 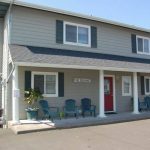 Located in the quiet Roads End area of Lincoln City and a short distance to the casino. 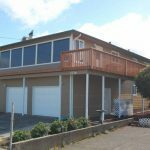 Great for large families, you have wonderful views of the ocean and Cascade Head and very eacy beach access right across the street. Located within easy walking distance to the casino. 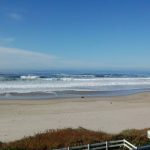 Large 3rd floor ocean view condo right across from the beach. 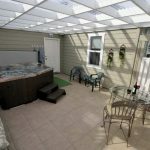 Enjoy the indoor saltwater pool and hot tub. 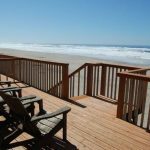 Enjoy the beach at this newly updated condo. It has everything you would need for a long weekend at the beach. Hey Buddy!, I found this information for you: "Rental List". 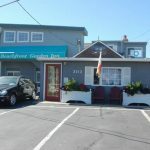 Here is the website link: http://beachfrontgardeninn.com/rental-list/. Thank you.